RUSH: There’s also, folks, a New York Times story today — actually a bunch of stories. Remember the audio sound bite we played about a week ago? There’s this new HBO show called The Final Year. And it should have been called The Final Hour. 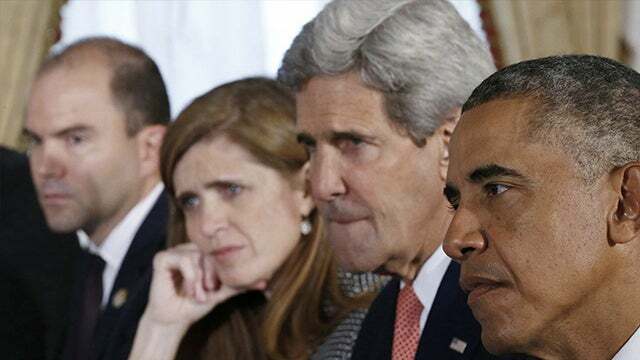 And it stars Ben Rhodes, Samantha Power, and John Kerry, among others. And it focuses on the Obama administration last year. But the last minutes, last few minutes of this are devoted to election night. And we had a sound bite from that HBO show of Ben Rhodes on election night unable to put two words together, just in a state of absolute, pure shock. I was telling my buddies over the weekend on our little golf trip, I said, “If you want to have fun and if you’ve got some time, go to YouTube or wherever you go to find videos and find election night coverage and start at 6 or 7 p.m. Eastern, any network, and watch it for a couple hours. And as you get close to 9 o’clock, you will see a 180 degree shift from an attitude of jocularity and confidence and happiness.” Because this was it, this was the glass ceiling being shattered or cracked, however you look at it, the first female president, Hillary Clinton, walking away with it in a landslide. But then as they get close to 9 o’clock, panic begins to settle in, and they shortly thereafter realize that it ain’t falling out the way they thought it was going to. And as they start fearing and realizing that Hillary is gonna lose, it’s one of the greatest things you can watch. Go back and relive that. I have a sneaking suspicion that it will be available at RushLimbaugh.com before the end of the day. I have a sneaking position Koko will go out and find an example, maybe cut some segments together — and if you get the new Rush Limbaugh app today (or upgrade to the new version, 4.0), you’ll be able to watch it there. Well, this Ben Rhodes sound bite that we aired over a week ago now has finally gone viral on Twitter — another example of us being on the cutting edge here perform — and I’ve even heard people on radio say, “You really can’t do this on the radio. It’s too visual. It doesn’t really work on radio.” Well, it does not if you know how to do it on radio. And if there’s anybody that knows how to do radio, it is me and us here at the EIB Network. We know pregnant pauses. We know pauses. We know drama. So we’ve edited this in a way that makes it work brilliantly on the radio. We have not edited out any substance. We have not changed the meaning of anything in this. But what we have done is make it eminently effective on the radio. And it’s Ben Rhodes. 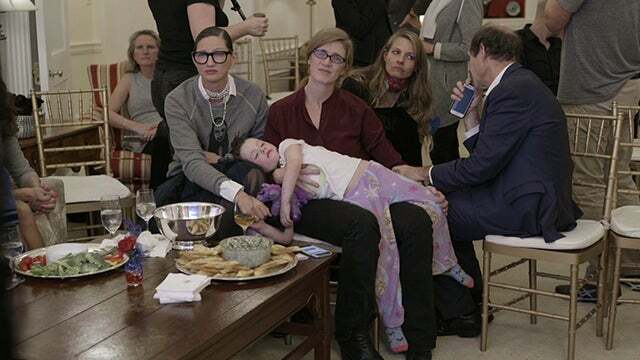 It is election night and a meltdown as shown in this HBO film called The Final Year. Now, this runs 52 seconds. It’s now just going viral on Twitter. But you heard it first. Let me tell you what it looks like. It’s very dark. It’s nighttime. And wherever Ben Rhodes is, the lights are very low. And it fits perfectly with the attitude of shock, sadness, despair, disbelief. The cameras and microphones from HBO are there. They’re recording what’s happening. They thought it was gonna be the biggest celebration. It was gonna be the continuation of the Obama administration, the Obama legacy, being led by Hillary Rodham Clinton — and it just didn’t turn out that way. RHODES: (stammering) I … just came outside to try to process all this. (sigh) (pause) Um… (pause) It’s a lot to… (pause) A lot to process. I mean… (pause) Uh… (long pause) I — I can’t even… (pause) I… (long pause) I… (long pause) I mean, I — I… (pause) I — I — I can’t… (chuckles) I can’t… I can’t… I can’t put it into words. I — I — I don’t know what the words are. RUSH: And that’s exactly as it aired, except we cut that up to make it work on radio, where others said it could have been done. But we just did it. Is that not incredible? It says it all. And HBO aired it. And you can understand they thought they were on the verge of making history. It was gonna be a landslide. They were thinking about the mandate they had to continue the Obama legacy of cutting America down to size. Now there’s a book. This Ben Rhodes guy has a book, and this book… You know, folks, there’s some things in this book that I’m just having the toughest time believing. Ben Rhodes quotes Obama in his book on this very night, maybe the next day as asking, “Did maybe we get it wrong? Did maybe they rejected us? Is it…? Did we misunderstand?” I’m not sure I believe Obama’s capable of thinking he made a mistake. RUSH: Again, a New York Times story. And this is Ben Rhodes. This is the guy in the audio we played, about a minute of him being incoherent on election night after it’s clear that Trump has won. He’s got a book. Ben Rhodes’ book says that Obama turned to these people riding in the car with him and said, “What if we were wrong? Maybe we pushed too far. Maybe people just want to fall back into their tribe.” Okay. Break this down for a second. Let’s start with “maybe people just want to fall back into their tribe.” That’s supposedly a quote from Obama in Ben Rhodes’ book, who is writing about Obama’s reaction to Hillary’s loss. If Obama really said this, “Maybe people just want to fall back into their tribe,” this would indicate that Obama saw it as his objective to be post-racial, that Obama was going to unite everybody and bring everybody together even if he had to force it to happen. Now, we know that Obama did use, quote, unquote, muscle or force in the way justice was handed out. The Obama view of things was that the founding of the country was unjust and immoral because of slavery and that white people, white men primary, founded the country and therefore it was unjust and immoral. And from the very beginning days of this country minorities were not full persons. And because of that, the United States was unjust, it was immoral, and the founding itself was perhaps even illegitimate. And so Obama took it upon himself to correct these injustices. And that’s how we got the PROMISE Program where we’re not going to arrest African-American or other minority felons to try to even out the scales because they’ve been arrested more than their percentage of the population is. All of the promoting of Occupy Wall Street and Black Lives Matter. Eric Holder not prosecuting the New Black Panther Party in Philadelphia during Election Day intimidating people into not voting. It was clear the Obama administration was going to try to mete out punishment against majorities because they had had an unfair advantage since the days of the founding. And what Obama wants us to believe apparently with this quote is that practically everybody would have been in favor of this. That everybody knew America was unjust, if they just were forced to face it, that everybody knew America was immoral, that America was not this great exceptional place, that America was an undeserving superpower, that America’s superpower status and place in the world had been purchased by thievery and oppression, imperialism and all these other horrible things that they associate with capitalism. And apparently Obama thought that the vast majority of people, since he got elected, actually wanted him to do this, to eliminate racial lines and to make things fair and just for the perpetually discriminated against and disadvantaged. Now, let’s just take this at face value. If indeed — and I don’t believe this for a second, but just hypothetically — if indeed Obama really believed that most people were with him on this idea that America was unjustly founded and so forth, and if he thought that most people were with him on the need to fix this by shifting discrimination. Since minorities have been discriminated against for so long, it was time to turn the tables and discriminate against them less and ratchet up the discrimination against majorities. And, of course, the only majority here that counts is white men and then a subset, white men Christian, and then white men Christian gun owners. And everybody else is a minority, including women, except female gun owners; and then they, too, are evil. So if you believe that, if you’re president, if you’re sitting there, if you’re Obama and you’ve got this gigantic, narcissistic ego, and you really believe that everybody’s all-in with you on this, that it’s just a bunch of bitter clinger rubes out here on the fringes that disagree with you, that election night had to be a total shock to you. If you, if you’re Obama, and if he really believed that everybody was behind his agenda and everybody agreed the United States was not quite deserving of its status in wealth and power. And if there needed to be a redistribution to the people who’d been forced to pay a bigger price, and if all of these corrections need to be made, the societal and cultural corrections. And then you’ve got Hillary sitting there in the wings waiting to continue your agenda as a third term of Obama and the polling tells you she’s gonna win in a landslide, and everywhere Obama goes, he’s treated and feted as a conquering hero, the media loves the guy. He’s got nothing but narcissistic and almost groupie-like support, then election night had to be a shock. If he really believed these things and Trump winning, and coupled with what they think Trump did, they think that Trump was appealing to tribalism, that Trump was using secret racism, that Trump was trying to subtly tell his voters that he was going to fix the things that Obama was trying to do, if they really believed this, then I guarantee you election night would be a shock. And so Ben Rhodes’ quote here is Obama saying, “Maybe people just want to fall back into their tribe,” meaning maybe the whites don’t want to like the blacks, and maybe the blacks don’t want to like the whites, and maybe the women don’t want to like the men and maybe the illegals don’t want to like the legals. All these divisions that liberals live and die for. That’s the craziest thing. Liberals divide people with everything they do while apparently they think they’re engaging in this gigantic unification process. I don’t think Obama has it in him to even think of himself as wrong. It’s everybody else that would be wrong. It’s everybody else that would not have been able to see the enlightened, advanced thinking of Obama. Remember, we were constantly told by people in the media that we couldn’t keep up with Obama. He was so much smarter than the average person that he was five, 10 steps ahead of everybody. Remember when they told us that after Obama left the presidency, that being secretary general UN, that’s not big enough. Obama needs a much bigger challenge. Remember all that? Remember all of the admonitions that Obama so much smarter; he’s forgotten more than we will ever learn. It’s gonna take a… Somebody like that is gonna sit around in a car in Lima, Peru, lamenting that he might have been wrong? In other words, is there anybody more tribal than Obama? I don’t mean in a racial way. Look at who Obama’s surrounded himself with all of his life. But this idea… You know what this all hinges on is Ben Rhodes wants us to believe that Obama has been too optimistic about the American people. You see, ultimately it does come down to the fact that the American people have let Barack Obama down. The American people simply could not meet the expectations Obama had for us. He’s still light-years ahead of us. We’re still in the Stone Age compared to where Obama is, and he had all of these dreams, this wonderful vision of the perpetual utopia. And, damn it, we just screwed it up by being the racist, sexist, bigot homophobes that everybody is. And so Ben Rhodes’ book attempts to say that Barack Hussein Obama was just too optimistic about the American people. Then the book says that Obama’s aides in the car in Lima, Peru, reassured him that he would have won if he would have been on the ballot. If he could have sought a third term, if it would have been Obama against Trump, that he was the one running away. So don’t think that your agenda was defeated, Mr. President. Don’t think you were rejected. Hillary lost that election or maybe the Russians stole it, but you didn’t lose it. 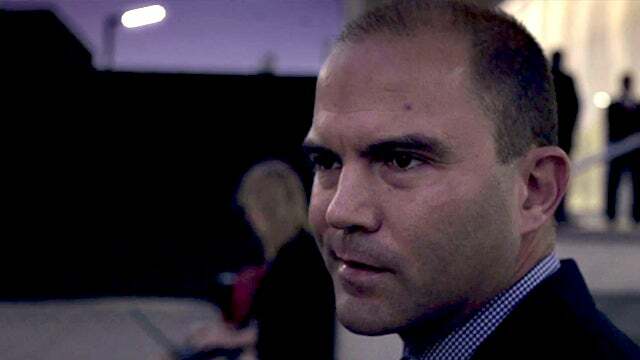 And then Ben Rhodes quotes Obama as saying, “Sometimes I wonder whether I was 10 or 20 years too early.” Yep! (sigh) That was it, right? That’s the reason Obama was such a failure. He was ahead of his time. Twenty years from now… Twenty years from now, Cash for Clunkers and Fast and Furious and all these other things gonna be working like a charm, right? They were just ahead of their time. Ben Rhodes writes that in “the weeks after Trump’s election, Obama went through multiple emotional stages. At times, he took the long view. At other points, he flashed anger. He called Trump a cartoon figure who cared more about his crowd sizes than any particular policy.” I just don’t know how much of this I can accept. RUSH: Donna in Frederick, Maryland, wanted to get to you quickly. Thank you. What’s up? What do you want to know? RUSH: Well, I don’t know. But I’ll tell you this. (sigh) They told us that Obama, the U.N. was too small, Obama’s light years ahead, so what did Obama do, Netflix? Obama’s going for the money! Like they all do. I’ll answer your question tomorrow.